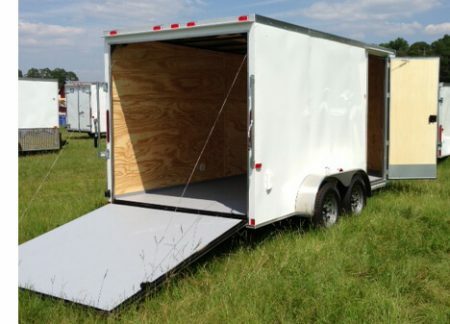 This 8.5′ x 32′ auto carrier – car hauler manufactured by Cargo Craft has many, many features that make this trailer an outstanding value. It starts with tubular steel main frames, walls and ceilings, making them the strongest frames in the industry. 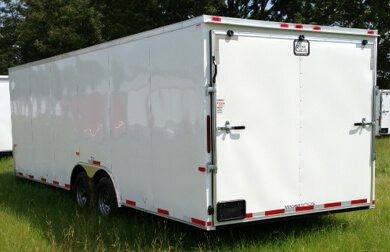 You simply cannot find a better 8.5 x 32 ft auto carrier at a lower price. Triple steel tubing is standard on all of our trailer hitches to add peace of mind while hauling that heavy load. 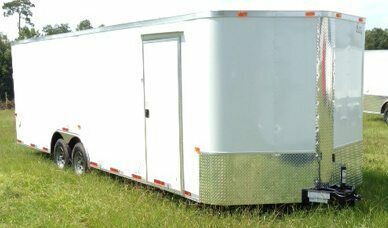 Your trailer also has a 36″ side door for easy access and 24″ stone guard to prevent chipping and maintain your trailer’s sleek appearance. 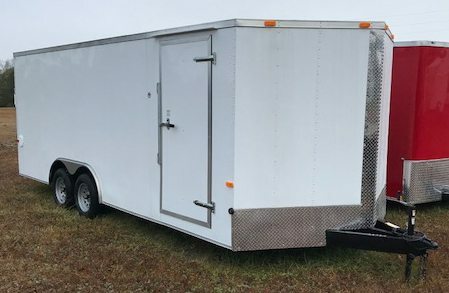 This 8.5′ X 32′ Auto Carrier/Car Hauler trailer manufactured by Cargo Craft has many, many features that make this trailer an outstanding value.